In his veto message, Bevin said parts of the bill violate “both the moral and legal obligation” the state has for retirees. “HB 358 will very likely result in a suspension of pension and health insurance benefits already earned by retired employees of quasi-government agencies,” Bevin wrote. The bill would have allowed the state to take over agencies that don’t make monthly pension payments to the state, restructuring their finances and even suspending benefits for current retirees. It would have also reduced retirement benefits for employees hired since 2014 that work for the agencies that exit the pension system. In allowing the agencies to exit the pension system, it would have increased the state’s $37 billion unfunded pension liability by about $800 million. 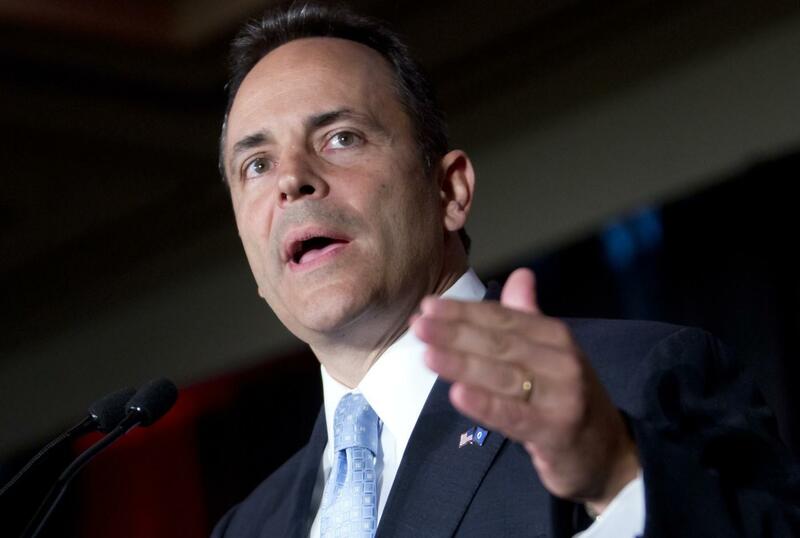 “Using an unsound discount rate will cost hundreds of millions of dollars to KERS, which further threatens the solvency of the system,” Bevin wrote. Lawmakers passed the pension bill late during this legislative session in response to massive increases in the amount regional universities and “quasi” state agencies are scheduled to pay into the pension systems. Starting July 1 their contribution rate is set to increase from about 49 percent of every employees’ salary to about 84 percent. Bevin called a special legislative session for lawmakers to address pensions late last year, but lawmakers voted to adjourn a little less than 24 hours after it began without passing anything.